The Quagga (Equus quagga quagga) was a subspecies of the Plains Zebra, with a beautiful and distinct coat pattern. Quaggas were hunted extensively by humans for their meat and hides. 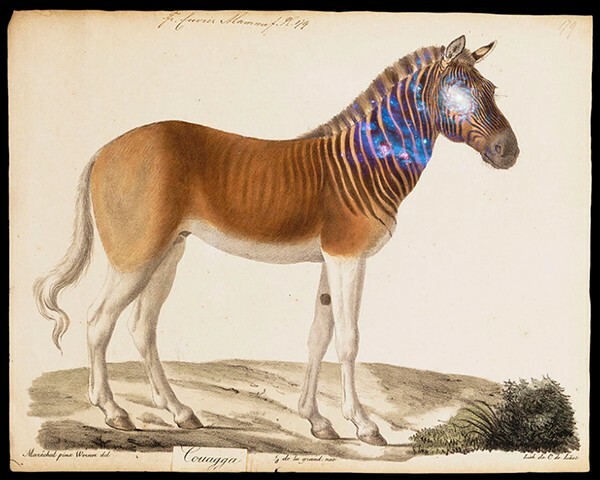 The last wild Quagga was likely shot in the 1870's, and the last animal in captivity, a mare at the London Zoo died in 1883.